Brandt Snedeker produced a contender for birdie of the year after he made a four on the iconic 18th despite pulling his drive onto the beach in the Pebble Beach Pro-Am. Brandt Snedeker produced a remarkable recovery from a poor drive as he closed out his first round of the Pebble Beach Pro-Am with one of the more unlikely birdies of his career. Snedeker made a steady start to his bid for a third victory in the start-studded California event as he covered 17 holes on the Pebble Beach Links with two birdies and 15 pars, but he looked certain to give at least one shot back at the last when his pulled drive sailed towards the Pacific Ocean. Phil Mickelson was one off the lead after hitting every fairway for the first time in over 20 years. However, the 38-year-old enjoyed a good break as his ball stopped short of the water and close to the beach among the rocks, and he decided the lie was too good to take a penalty drop. 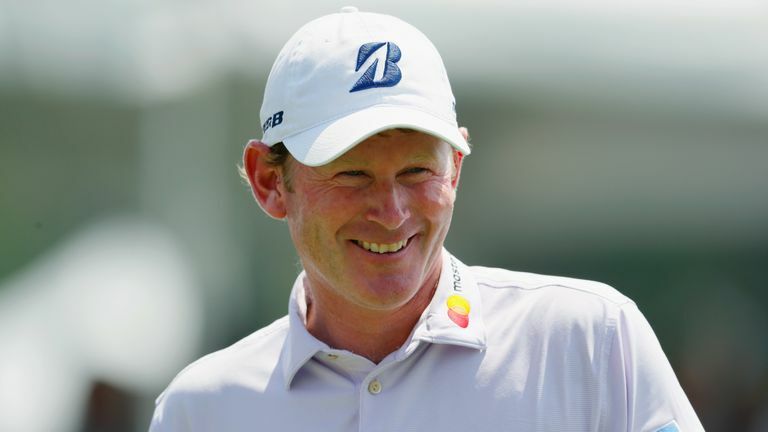 Snedeker made superb contact with his recovery shot and managed to clear the cliff and get his ball back to the fairway to leave himself just 150 yards from the pin, and he took advantage of his good fortune with a precise third that pitched and stopped 10 feet beyond the flag. He still had a tricky downhill putt to complete the comeback, but he read it perfectly and celebrated the most eventful four of the day before signing for a 69 which left him four shots off the lead.